Product Protection Solutions (PPS), a veteran and family-owned solution provider, provides both consultative services and physical loss prevention technologies to support customer needs in the application of AM, RF, and RFID technologies throughout the loss prevention, electronic article surveillance, and supply chain arenas. With more than 60 years of combined EAS, Logistics and Finance experience, PPS is a formidable ally to have. By offering effective solutions that address a wide range of loss prevention measures from multi-purpose to individual custom applications, PPS is focused on enabling retailers to keep more of what matters, creating a better shopping experience for customers, and driving overall profitability through increased sales and reduced loss. True partnership requires a commitment beyond simply selling products. Ultimately, a true solution provider must evolve throughout the relationship with their clients, striving to better understand an organization’s specific needs, wants, and requirements. By sharing this vision, PPS is poised to better support the culture of the organization, current business needs, and future business trends as the loss prevention landscape changes. Hard Tags and Detachers: The PPS Keepsafe™ Tags provide high-level theft protection for everything from delicate intimates to durable sporting goods. While beneficial for use in any traditional hard tags application, the Keepsafe™ Hard Tags are especially effective where standard or super locks are being defeated or removed, and are available in AM, RF, and RFID technologies. H-Tags are only detachable using the Keepsafe ™ H-Tag Detacher and cannot be removed with traditional standard or super detachers. Beverage Protection: The PPS Keepsafe™ Beverage Protection is the ideal solution for protecting bottled beverages and other similar bottled items. The multi-purpose Protection are available as collar tags, caps and full bottle coverage. The reusable Beverage Protection allow for full product visibility, while providing the highest level of anti-theft protection. 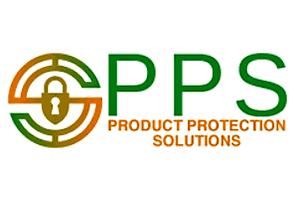 Safers: The PPS Keepsafe™ Safers provide high-level theft protection for everything from health and beauty aids to razors and small electronics. The reusable safers house products in a transparent case, allowing retailers to openly showcase products while reducing shrinkage from theft. PPS has also developed a micro-safer series that is ideal for small cosmetics that typically cannot be effectively protected. PPS Keepsafe™ Safers are made with the highest quality of polycarbonate which makes them highly resistant to scratching and discoloration unlike traditional safers, keepers and vaults currently on the market. Alarm Series: The PPS Keepsafe™ Alarm Series is designed to provide additional layers of security for high-shrink, not easily protected products that require more than the traditional application of safers and tags. Each device integrates with existing RF or AM EAS systems and provides 1, 2, or 3-alarm protection. The Alarm Series offers the added benefit of knowing when and where someone is attempting to defeat your security solutions and steal your products. Specialty Tags and Devices: PPS offers a full range of tags and labels in AM, RF, and RFID. PPS also offers an RF Field Tester that can be used to evaluate non-alarming RF deactivator pads and antennas. PPS is focused on providing solutions that specifically address our partners pain points. Whether this requires modification of an existing solution, or development of a new one, PPS is committed to Protecting Products, Preventing Loss, and Securing your Bottom Line.